The debate about Sinn Fein and their role in Irish politics will continue long beyond this current presidential election in Ireland. But there is no question that they have now helped create another major opportunity for peace in the long running guerrilla war in Basque country on the French/Spanish border. ETA, the IRA equivalent, have announced an end to their armed campaign after meeting with Sinn Fein leader Gerry Adams and several other peacemakers, including former Irish leader Bertie Ahern and former UN Secretary Genera Kofi Annan. It seems the lessons of the Irish peace process are many and varied and that its positive impact is still being seen worldwide. ETA tried and failed to end their campaign several times, but this time it seems final. 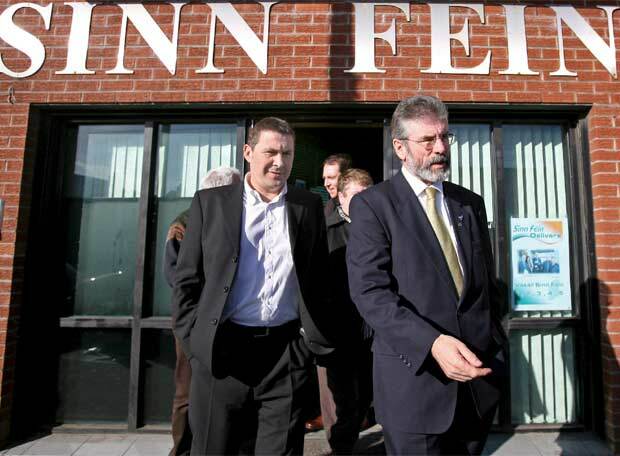 Their political wing Batasuna has been ineffective, unlike Sinn Fein in convincing ETA to take that last vital step. There is great credit due to all concerned. Gerry Adams has welcomed the ETA announcement that they will end their armed conflict in Spain. "I welcome the decisive and positive terms of ETA’s response to Monday’s ‘Declaration’ in Donostia-San Sebastian by the International Conference group. “Following our deliberations the International Group expressed the opinion that ‘it is possible to end, the last armed confrontation in Europe’. “We called upon ETA to “make a public declaration of the definitive cessation of all armed action and to request talks with the governments of Spain and France to address exclusively the consequences of the conflict. “I believe that their statement today meets that requirement and I would urge the governments of Spain and France to welcome it and agree to talks exclusively to deal with the consequences of the conflict. “These next steps should be about promoting reconciliation, addressing the issue of victims and recognizing that a serious effort has to be made to heal personal and social wounds. “There are other issues which will need to be addressed and which can act as confidence-building measures within the process. “For example, among these are the issue of prisoners and of demilitarizing the environment and of respecting and acknowledging the democratic rights of all political parties and treating them as equals.